How Many Seeds in a Grapefruit? I love grapefruit or Grei-frú or toronja or pomelo. Whatever name you give them they are yummy. They are so juicy and sweet. I am just amazed by how many seeds one grapefruit has so I decided to spend my morning counting them. You may be asking yourself how much time does this Gringa have on her hands? Well, I did this in my quest for information just to share with my readers because I care. 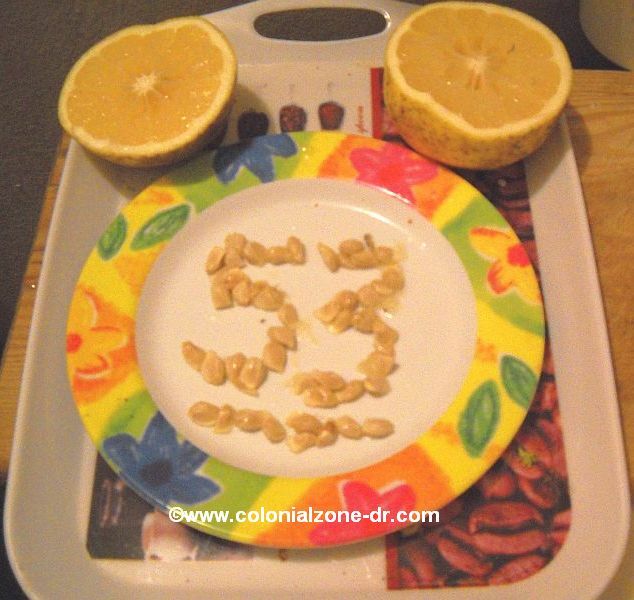 So here is the number I came up with today…53 seeds in 1 grapefruit. This grapefruit must really be worried about carrying on its species or something. But anyhow, this is a fact and here is the picture to prove it. By the way, I did enjoy eating my 53 seed grapefruit. Wowwee's grapefruit, seeds, toronja. permalink. >So interesting that you counted the seeds – that's a lot!